Today me, Yen and my mum went down to Old Spitalfields market to have a look around and do something different on a Sunday. We haven't been there in a while so it was good, plus there was a bit of sun so that was great. I just love it there the food the stalls and the atmosphere. I'm definitely going back when it gets warmer there is just so much to see. Walking past one stall there was different kinds of animal backpacks. Yen was really drawn to the cat one for some reason, she said it's like Cairo (our cat at home). I asked the lady how much it costs when she told me £25 I wanted to say o forget it but my mum being mum she gave me £20 and said put the rest in. The woman said to us she can't put the price down on the bag but she can have a free purse RESULT!!!! 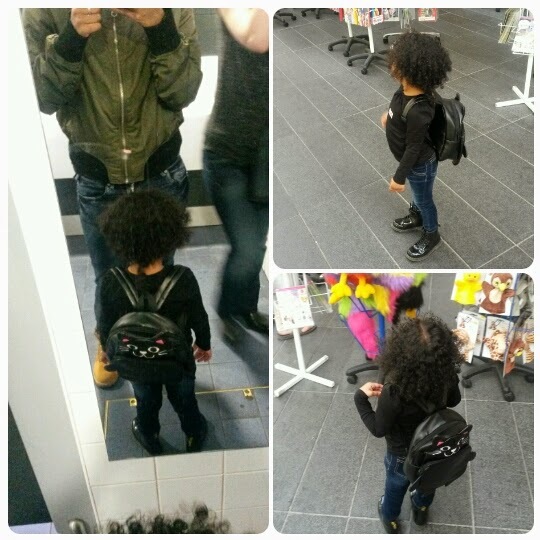 Yen absolutely loves the bag which is great she better love the bag for the rest of her life lol. There is sooooooo many food places down there it's amazing what's better than eating and shopping. 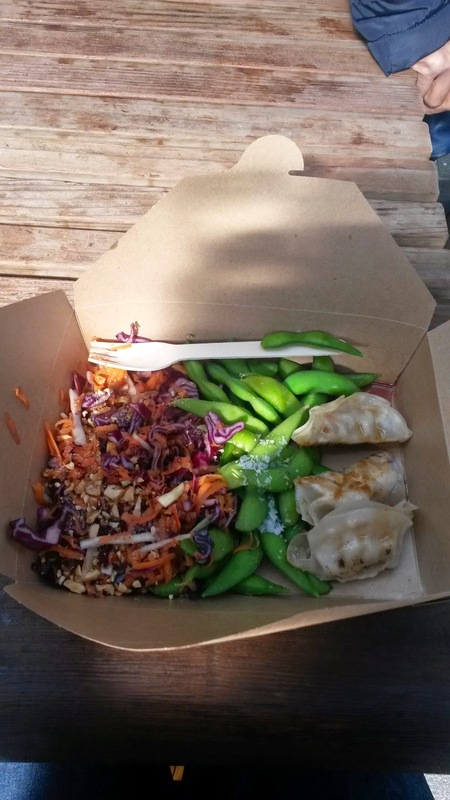 I went for a nice combo of 4 chicken gyozas, salad and some edamame beans for £5 it was delish Yen had some festivals and fried plantain from the Carribean stall she actually said no to chicken this time. She even told the lady she has that food at her nanas house. They were really polite and welcoming which is really good.